Our product range includes a wide range of graded ms die. 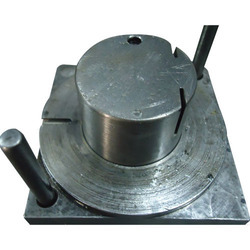 We specialize in offering finest quality Graded MS Die to our valuable customers. The offered die is widely used in various casting process from specialized to molded casting in different industrial applications. These products are manufactured from finest mild steel that is procured from trusted vendors. Furthermore, the offered products can be custom designed as per the requirements of our valuable customers. Looking for Graded MS Die ?